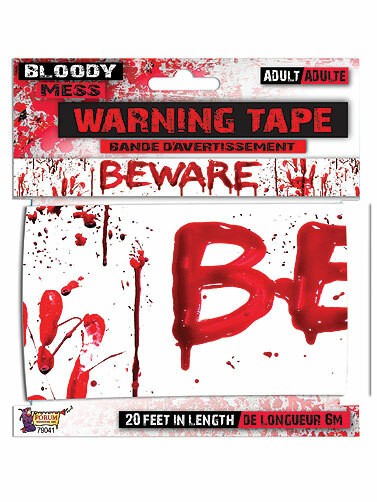 Bloody Mess Beware Tape is great for marking off areas in your bloody Halloween display. This plastic bloody barricade tape decoration warns Halloween guests to Beware. Bloody hand prints and splattered blood adorn the decoration. Okay for outdoor displays. Bloody Mess Beware Tape measures 20 ft. long.